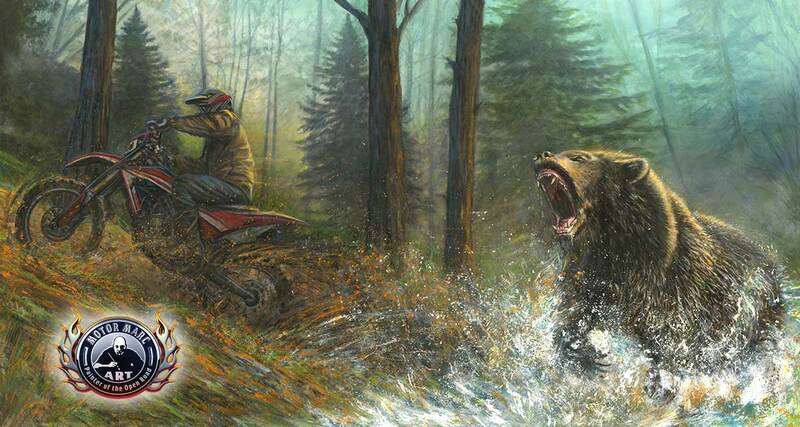 Mother Nature’s beast growling at the presence of the loud trail bike riding through tough terrain. Through the creek and up a hill, his dirt bike can handle it all as he barely makes his escape from the dangerous claws of death. This is the second edition to the Motor Marc Wildlife Collection. Mixing Mother Nature’s beauty with the thundering power of engines. 16" x 30", 20" x 36"